Well, I’m not much of a follower. Actually, if I’m asked to do so I’ll likely find another way – just ‘coz. And tradition? God help us all! Not much for that either. 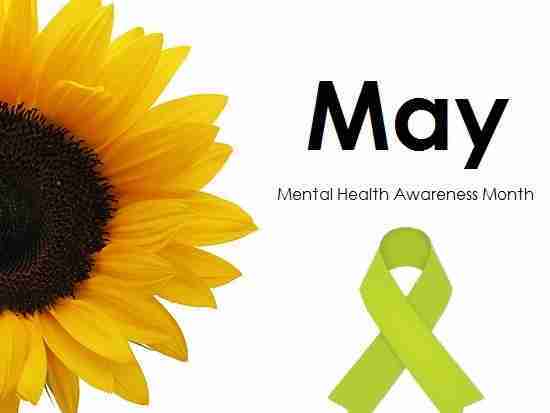 Still, by whoever’s declaration, May is National Mental Health Awareness Month. 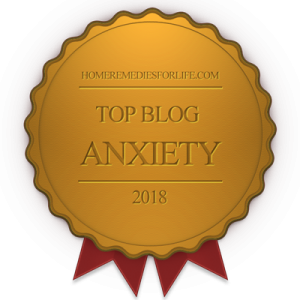 Now, rather than help you find activities in your area or organize a poster contest, I decided to present some pop-up thoughts – straight-off-the-top – pertaining to this emotional/mental health biz. Ah, what my mind manages to come up with!? Isn’t it time to dump terms such as “mental health,” “mental illness,” “… disorder,” and probably a whole lot more? They’re outdated and only perpetuate stigma. Hey, how ’bout something like “neurological illness?” I mean – what – cerebral palsy and Parkinson’s disease are legitimate neurological illnesses and schizophrenia isn’t? Oh, by the way, dopamine is at the foundation of both Parkinson’s and schizophrenia. Why don’t symptoms generated in the brain get the same attention as symptoms generated – say – in the heart? Are we so hung-up on odd thought/behavior and poor hygiene that untreated schizophrenics don’t deserve respect and help? Why are so many psychiatrists seemingly insensitive and inconsiderate? Why are so many therapists afraid to put the manual aside and meet a client where s/he is – and go with it? Why don’t so many psychiatrists and primary care physicians fully explain the pluses and minuses of the meds they prescribe, including potential cessation issues? How can Big Pharma run atypical antipsychotic (Abilify, Seroquel, etc.) TV ads that make using them come off like popping Flintstones Gummies? When it comes to publicity, research, and funding – how come our stuff takes a back seat to cancer, HIV/AIDS, and the “legitimate” neurological illness Alzheimer’s? Can you imagine how hard it would be to avoid “outing” your emotional/mental circumstances for fear of stigma and negative reaction? Would anyone even think about telling someone with acute chest pain to pull up their bootstraps and get over it? When will physicians and consumers wake-up regarding the negative impact of long-term benzodiazepine (Xanax, Ativan, Klonopin, etc.) use? When will psychiatrists, parents, and education/entitlement administrators realize giving antipsychotic, antidepressant, and anticonvulsant meds to children is taking the easy way out – and just wrong? Why do health insurance companies think they know what’s best for everyone? Okay, National Mental Health Awareness Month. So we’ve been aware of these situations for centuries. How ’bout we quickly transition to National Mental Health Action Month? What think you? Well, here’s an invitation. Scroll on down to the comments section and let me know if you think I’m off my rocker. And don’t forget to share pop-up thoughts of your own. We’re in this together, right? 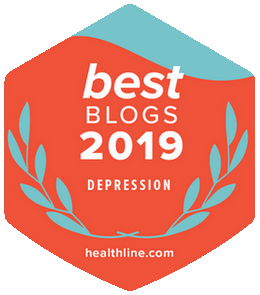 Again, we all know the list – anorexia, dysthymia, PTS”D,” schizoaffective “disorder,” borderline personality “disorder,” conversion “disorder,” Asperger’s – and a whole lot more. These NEUROLOGICAL ILLNESSES aren’t breaking news. But, go figure, we’re still hairline deep in stigma, lack of respect, and sub-standard treatment. National Mental Health Awareness Month? Let’s flip to action!!! Like the featured image? Kudos to West Tucson Mental Health, Inc.
Yo! Looking for buckets of mood and anxiety awareness (and action)? 600 Chipur titles oughta’ do the trick. Next Post: Lyme Disease | Have You Been Fooled by the Great Imitator?